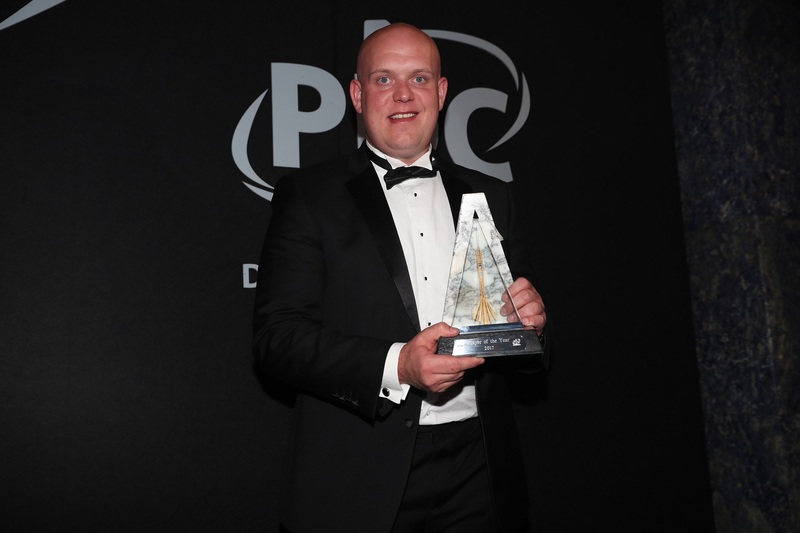 MICHAEL VAN GERWEN was named as the PDC Player of the Year at the PDC Annual Awards Dinner on Monday night, as new World Champion Rob Cross scooped four trophies at The Dorchester in London. World number one Van Gerwen enjoyed another extraordinary year during 2017, following up his World Championship triumph with a further 18 tournament victories. The Dutchman won a fourth successive European Championship title during the year, as well as his third wins in the Premier League, Masters and Grand Slam of Darts and a second World Cup of Darts. The 28-year-old’s success saw him named as the PDC Player of the Year for a third successive year, having shared the award with Gary Anderson in 2016 and secured the prestigious honour alone 12 months ago. “I had a fabulous year,” reflected Van Gerwen. “Rob Cross did phenomenally last year but I still had a good year and I won 18 tournaments and I’m happy to win this award. 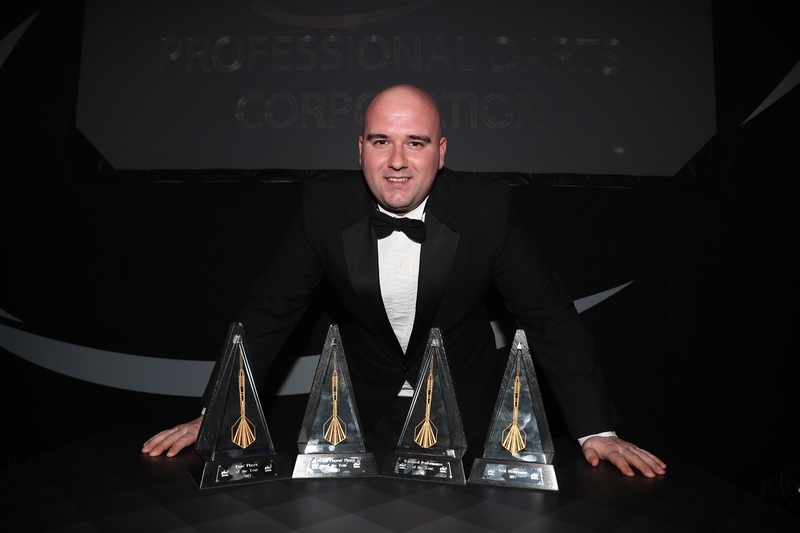 The glittering awards ceremony also saw new World Champion Rob Cross’ amazing rise rewarded with four trophies as the Hastings star celebrated his fantastic debut year on the professional circuit. Cross was named as the PDC Best Newcomer, having only joined the PDC ProTour at the start of 2017 before winning four Players Championship events, reaching the European Championship final and then claiming World Championship glory. He was also voted by his peers as the PDPA Players’ Player of the Year and was a runaway winner in the PDC Fans’ Player of the Year category from an online poll at the PDC’s official website. Cross’ quartet of awards was completed when he was recognised for the Televised Performance of the Year for his brilliant World Championship semi-final defeat of reigning champion Van Gerwen, in a thrilling 11-set clash which went to a sudden-death leg. “It’s amazing to get four awards,” said Cross. “This time I was practising and I knew I had a big year coming up but I progressed nicely and you couldn’t have scripted it. “I’ve still got to get used to being World Champion, but in my eyes I’m still learning and I feel I can get better. 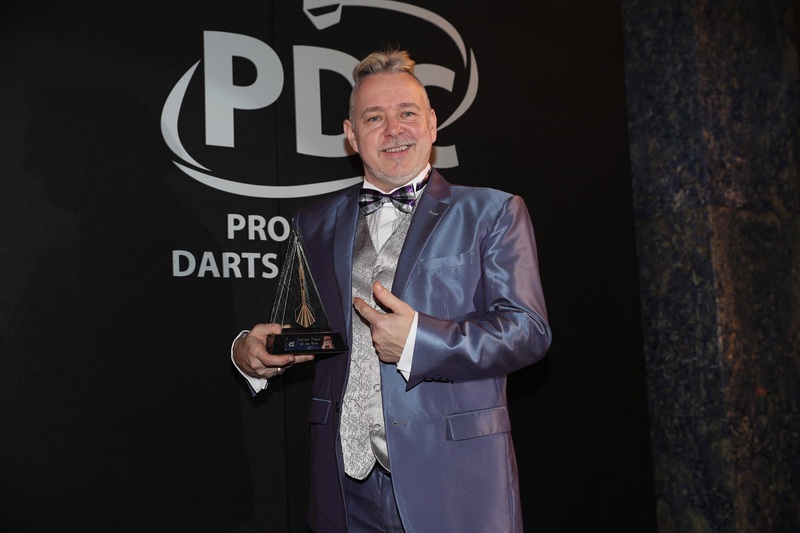 Peter Wright’s success on the PDC circuit saw him named as the PDC ProTour Player of the year, having won five European Tour events, three UK Open Qualifiers and a Players Championship during 2017. New World Youth Champion Dimitri Van den Bergh, the 23-year-old Belgian who also reached the World Championship quarter-finals, was named as the PDC Young Player of the Year. 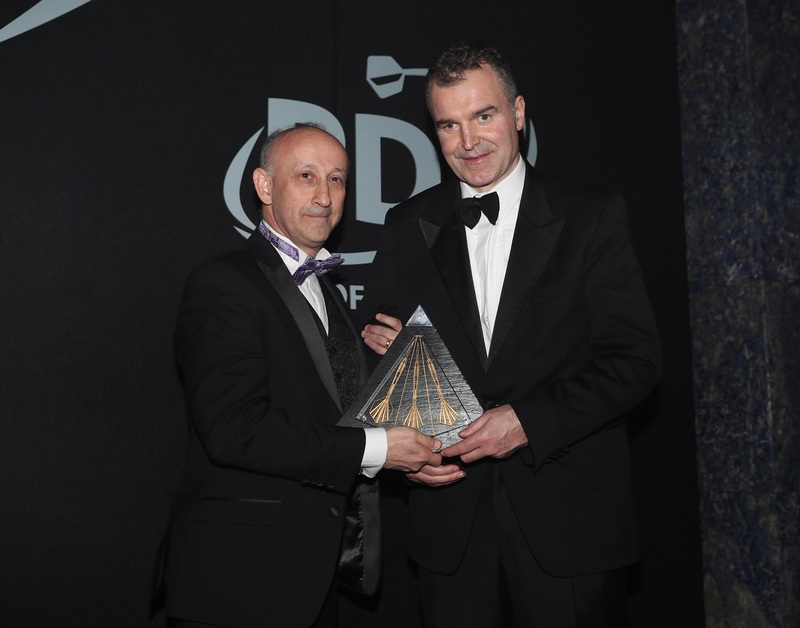 The night also saw Sky Sports presenter Dave Clark inducted into the PDC Hall of Fame, recognising his ongoing contribution to the sport after over 15 years presenting coverage of televised tournaments, alongside his remarkable work raising awareness and funds for Parkinson’s UK. 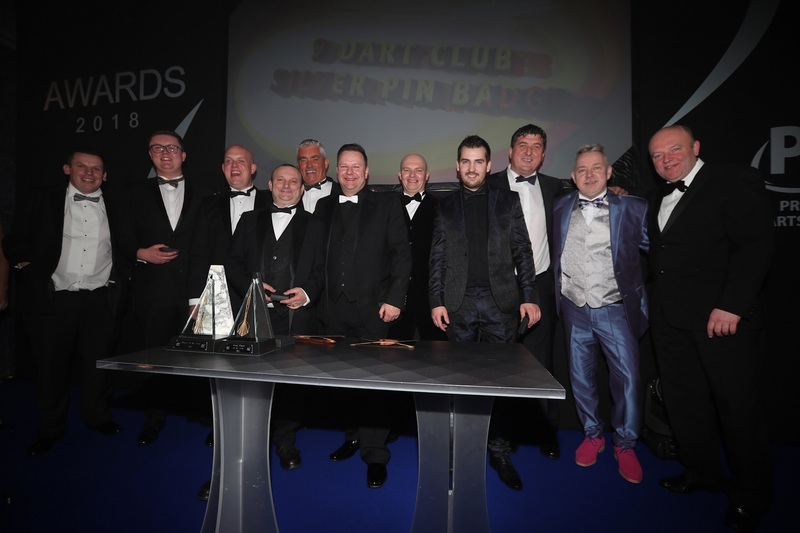 The players who achieved a perfect leg in PDC tournaments during 2017 were recognised with places in the PDC Nine-Dart Club, with Adrian Lewis and Kyle Anderson’s televised nine-darters earning a commemorative gold pin badge and silver pin badges being presented to recognise 25 nine-darters away from the TV cameras on the PDC circuit.